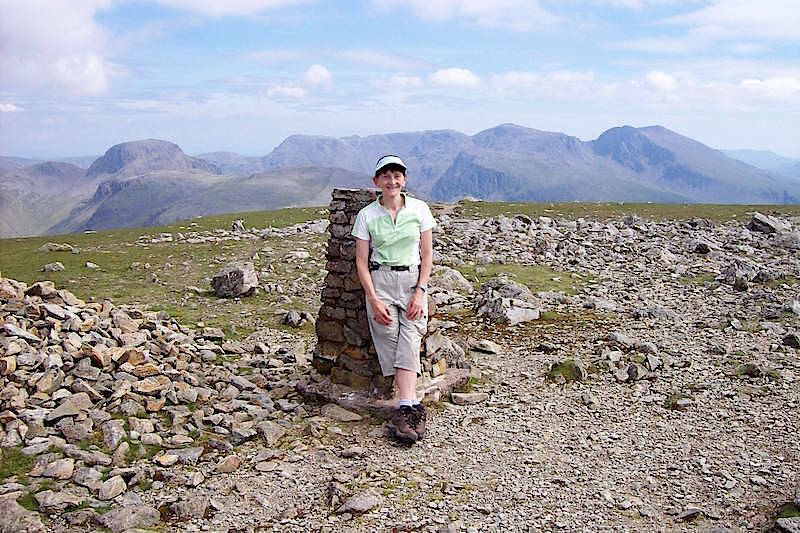 Lots of memories from this walk – very hot from the start, leaving a good pair of sunglasses on some rocks just above the Black Sail Pass, meeting a lady wearing exactly the same top as me, a group of weary looking men coming up Wind Gap, and the long walk back to Wasdale Head. Looking back I wish I’d taken more photos of the fabulous scenery around me. 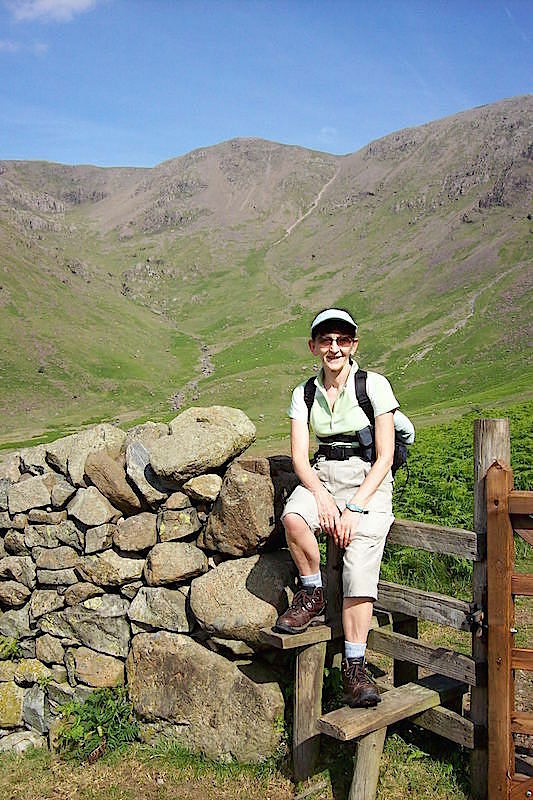 Here we are heading into Mosedale and aiming for the first fell of the day, Kirk Fell. Perhaps its not strictly part of the horseshoe but we might as well call in as we’re passing. Taking a breather on the stile, crikey, its baking hot in this valley. 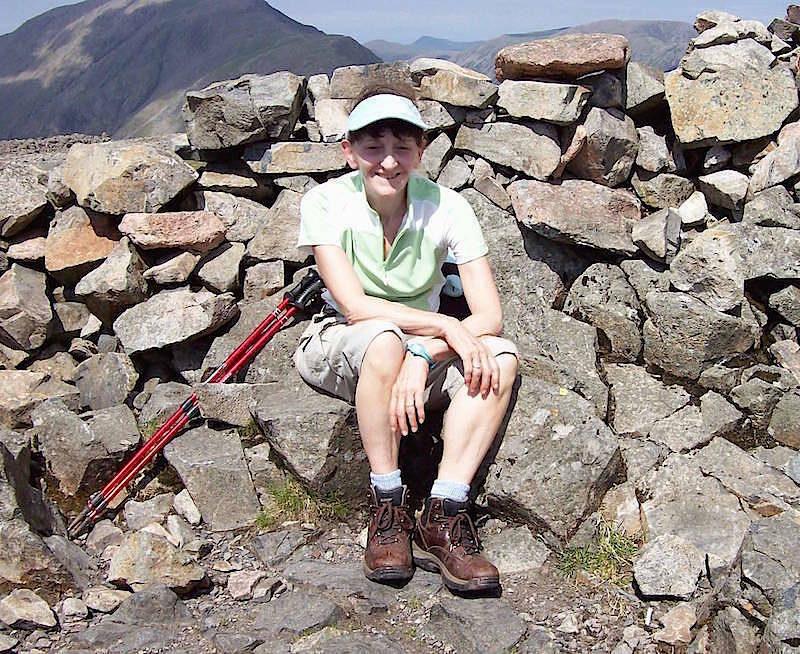 Enjoying a well earned sit down on Kirk Fell. 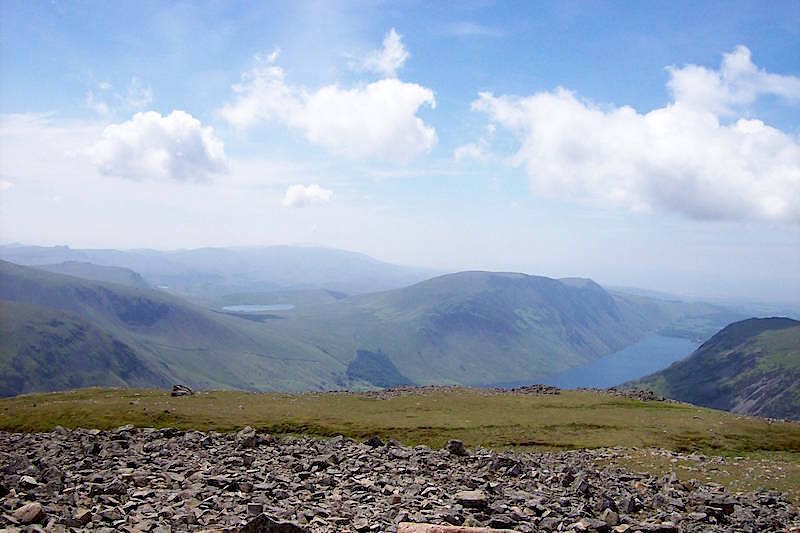 Wast Water from Kirk Fell. 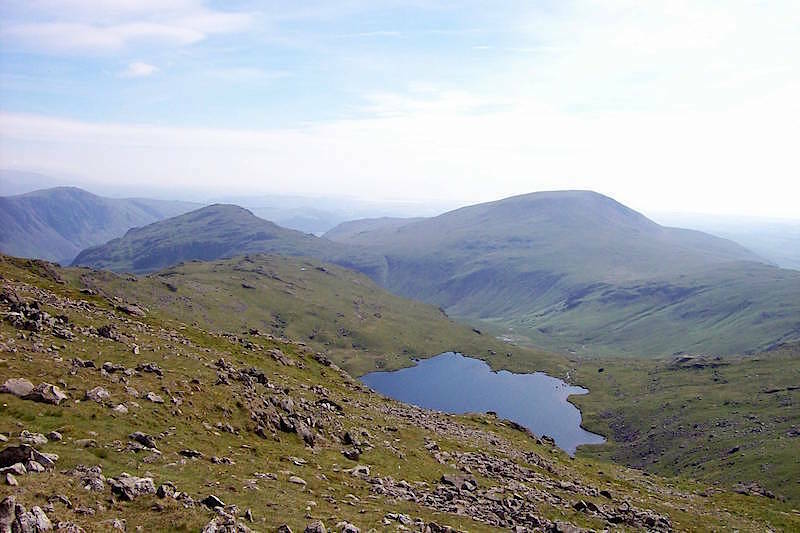 Alongside it is the Whin Rigg – Ill Gill ridge, and over on the left is Burnmoor Tarn. We could have walked a bit further down to get a better view but I think we were keen to get going up to Pillar. 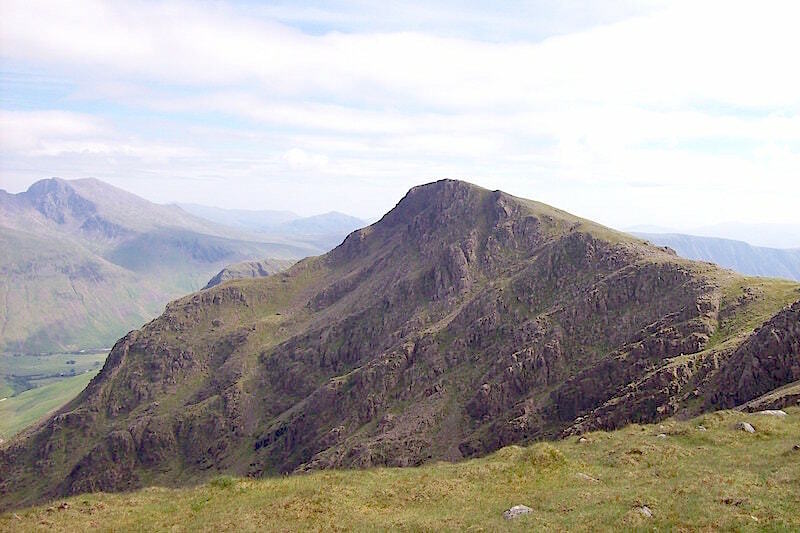 Another view of Great Gable from Kirk Fell. Back down from Kirk Fell and on the path to Pillar. We stopped by some rocks somewhere around here and that’s where I left my sunglasses. The camera went back in its case and off we went up to Pillar. 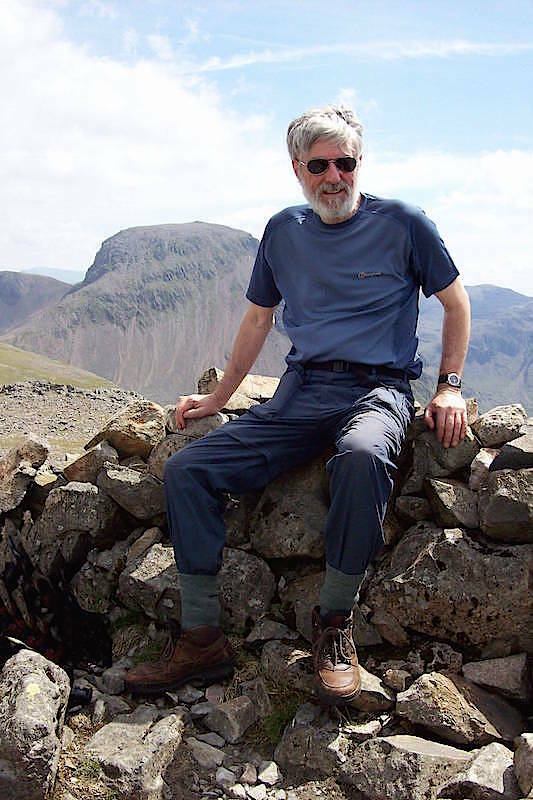 It was only when we were at the summit that I realised I’d left them behind. We were almost at the summit when we met a couple who were just leaving. The lady was wearing exactly the same top as me, even the colour was the same. We had a bit of a natter and a laugh about the coincidence of it, especially as we had each bought them in different shops in different areas of the country, and then just happened to turn up at the same time on the same day on the same fell wearing the same top. I wonder what the odds would be on that happening again. 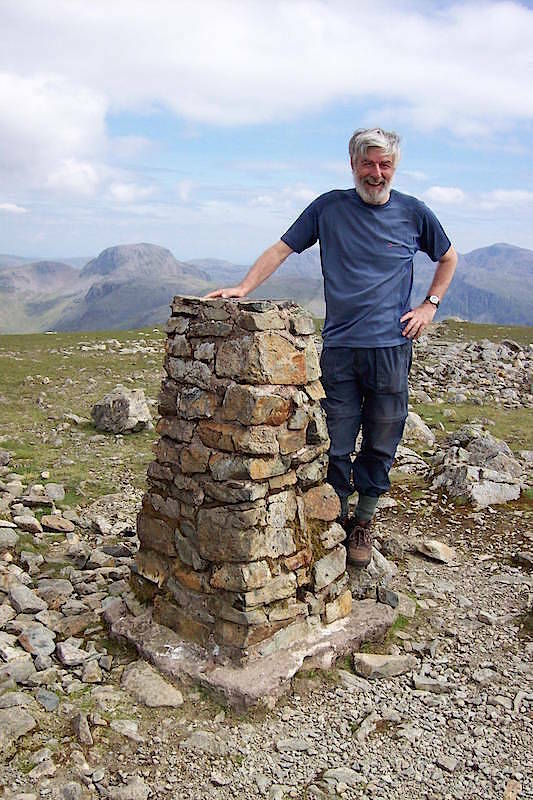 The trig point on Pillar. From here we headed off to go down Wind Gap to continue on round the horseshoe. On the way we met the small group of weary looking men I mentioned at the beginning. They had stopped for a rest and as we reached them they asked which we had come up Pillar, so we told them. One of them, very red in the face and perspiring heavily said we’d walked up the best way then. I asked him what was wrong with their route up Wind Gap and all he would say was, “You don’t want to know!” I soon found out though, walking down Wind Gap was a bit of a rough affair, steep, with lots of loose stones, ready to roll down like marbles as soon as you stepped on them. It was very much a case of watching where you were putting your feet. 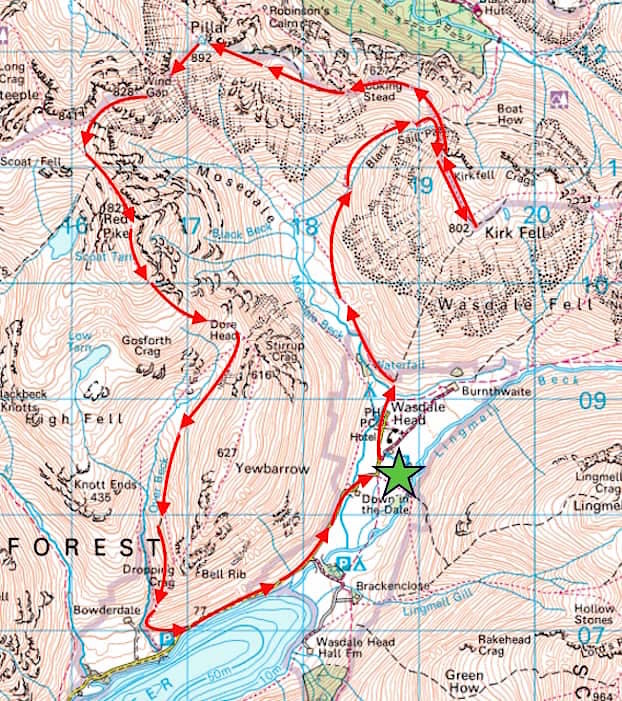 Safely down from Wind Gap, we continued on around the horseshoe and we are now approaching Red Pike. A look down to Scoat Tarn from the Red Pike path with Seatallan over on the right. From the cairn at the Dore Head end of Red Pike a look back to the summit cairn at the other end. 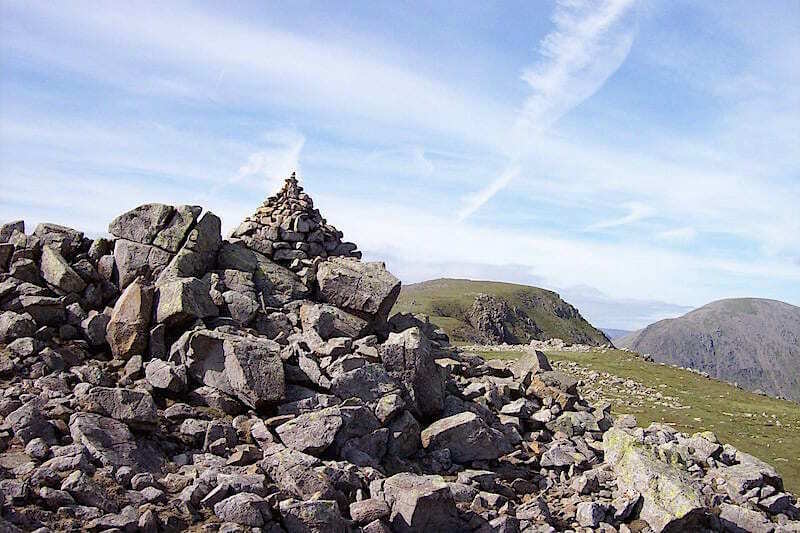 No shots of the cairn at that end, perhaps due to talking, or forgetfulness, or tiredness, or all three, who knows. Maybe the discussion we were having at the time about what to do when we got down Dore Head. 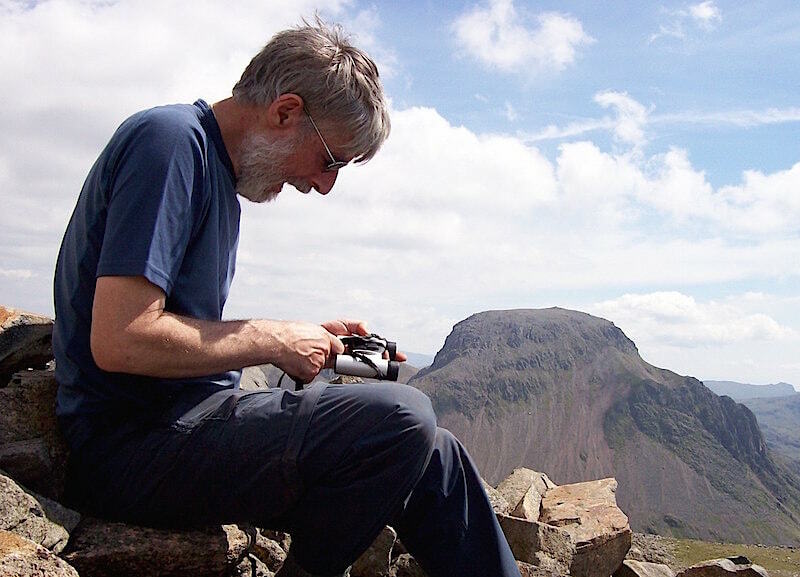 Should we go up Yewbarrow or return down Over Beck? 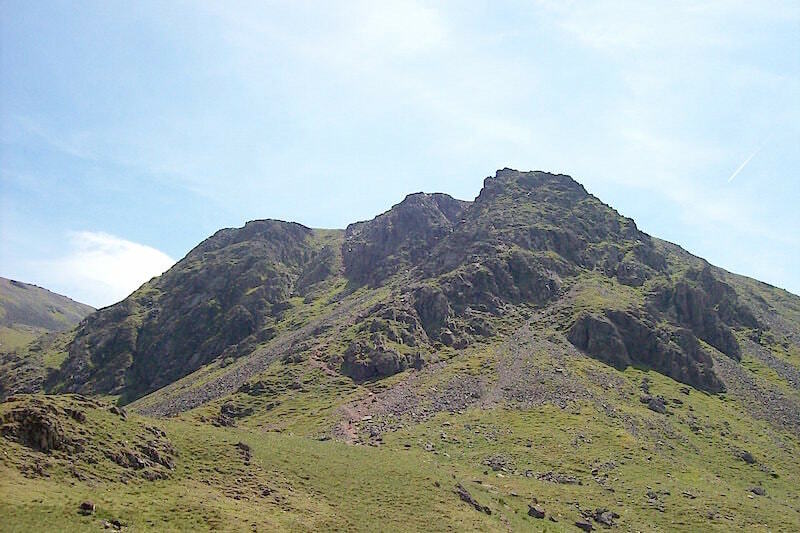 In the end sense prevailed, going up Stirrup Crag with tired legs at the end of a long and very hot day just wasn’t that great an idea, so down Over Beck we went. 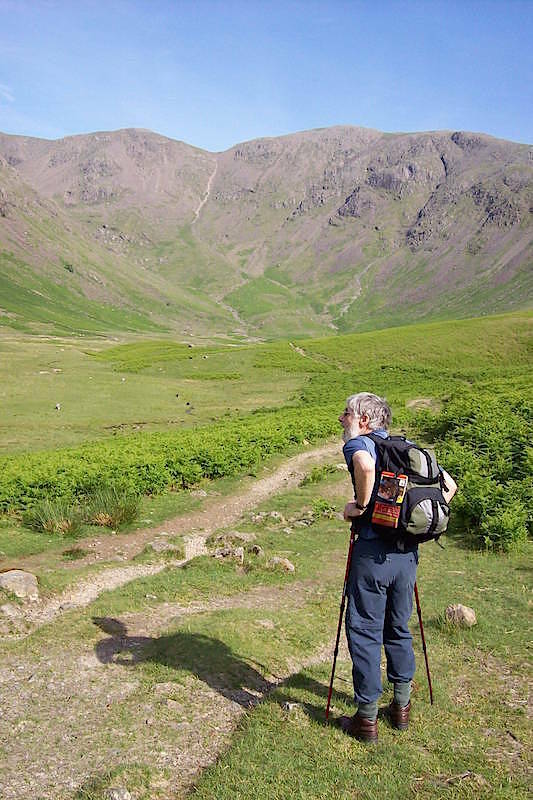 It was still a fairly long walk down and then another long walk along the road back to Wasdale Head. Aching legs and feet all round, but nothing that a long soak in the bath can’t put right.